Saw this on Reddit. 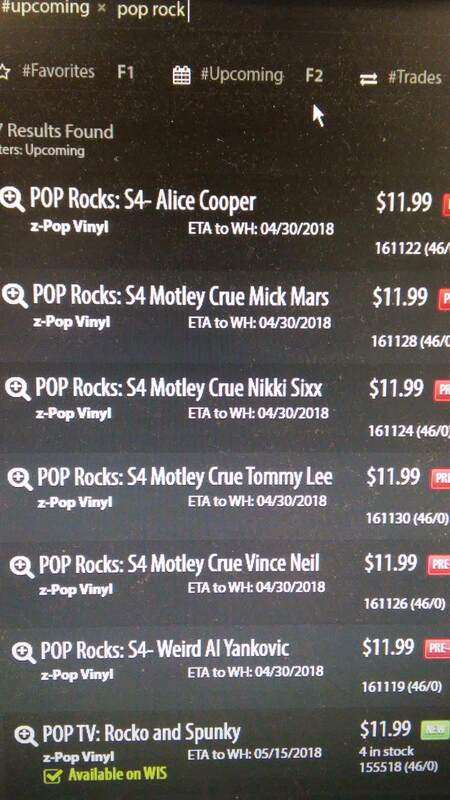 GameStop’s system shows Al as an upcoming Funko POP toy coming soon! You can go to your local GameStop store and pre-order now if you’d like, or wait for it to show up in other retailer systems. Maybe they’d sell these at some of the shows? 3 days after the Dallas show. Would be sweet if they had them available at the time of the show. We get our first look at the Al Funko POP design! I have a good feeling these will be available to buy at the merch stands this year. Didn't this happen before, where something technically didn't release yet, but they still sold them at the shows? I might be mis-remembering. My hope is they have some ready by the Dallas show on 4/27. One can dream. If not...meeting Al for the first time with my 8 year old will be enough awesome for one night. I’m so hyped for this!! I hope they’ll have a Modern Al version. You know, the way he’s looked for the past two decades. Al has tweeted and instagrammed photos of the Fat figure and I gotta say I much prefer that one.